Bull times, bear times, or up-and-down times, you never want to be out of the market – especially the tech market. After all, last year the tech-heavy Nasdaq Composite Index climbed almost 6% during a year that saw the S&P 500 Index and Dow Jones Industrial Average both finish in the red. And while the market may be down, great stocks and outstanding bargains are out there. This company and its savvy leaders are conquering the cloud-based computing space… spending money on growth… moving into new markets… and growing their customer base by leaps and bounds. Since I first recommended it, this stock has more than doubled. What's more, it's poised to double your money again. 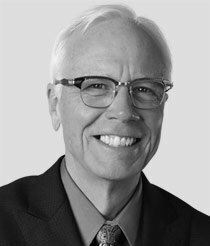 When I first told you about Adobe Systems Inc. (Nasdaq: ADBE), on May 31, 2013, I predicted that the San Jose, Calif.-based company would become "a crown jewel of the software industry." At the time, Adobe – maker of such software stalwarts as Photoshop, Illustrator, PDF files, Adobe Acrobat, and Adobe Reader – had fallen out of favor with Wall Street. Many investors were put out by the company's decision to stop licensing its iconic products and instead require users to use them on a "cloud-based" subscription model. In fact, a popular website created a petition to try forcing Adobe away from its new "Creative Cloud" model and back to its old way of doing things. The folks who signed that petition should have taken a moment to do something I counsel my readers to do: Separate the signal from the noise. Had they done so, those disgruntled folks would have seen what I saw: That by ignoring naysayers and launching Creative Cloud, Adobe was doing more than just hitching a ride on cloud computing – one of the truly unstoppable trends. That's why, when we revisited Adobe in October 2015, the stock was up 101.3%, more than 10 times the Dow's return. At that time, I predicted we'd see a second 100% run-up in Adobe in about two years. True, the stock is now off about 13% from that October value. But I stand wholeheartedly by that prediction, choppy market or no choppy market. Moving to the cloud did more than kick-start Adobe's revenue. It also saved the company a ton of money. You see, at bottom, Adobe's products are complex packages with millions of lines of code that take two years to develop. That doesn't take into account all the other steps a traditional software company has to go through to get its software to market, such as burning CDs, printing up packages, and shipping the finished software product to retailers. Each of those links in the traditional chain is a drain on profits. By moving to the cloud, Adobe has a way for its customers to pay a monthly fee to use a suite of software packages. Adobe hosts the software on its own computer servers and offers customers discounts of about 40% for the first year of use. After that, an annual contract for individuals runs about $50 a month. Paying the monthly fees gives clients access to several software packages for one simple price as well as a steady stream of "free" updates. The Creative Cloud is certainly yielding huge financial gains for Adobe. Creative Cloud subscriptions have shot up 19-fold since 2012. The company's fourth-quarter earnings report was astounding. During the period ended Nov. 27, revenue came in at $4.8 billion, 15.6% above last year's total. But here's the more significant number: Subscription revenue rose a whopping 55.3% to $3.2 billion. Earnings per share climbed to $2.08 – a 61.2% increase from 2014. 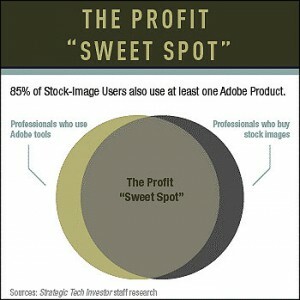 One reason Adobe is scorching the markets is that it has been making some shrewd purchases. Adobe's $800 million purchase of the Fotolia "stock" photography service in December 2014 went unnoticed on Wall Street. But that acquisition – which updated the stock-photo tradition by putting its database of images online – underscores how Adobe has become a cloud-computing profit machine. For a subscription licensing fee, stock-photo services such as Fotolia – you might recognize the names Corbis or Getty Images – provide photos and other images to fill up content like corporate reports, travel brochures, and online articles. And it's a $3 billion market, according to Heidelberg University. The company launched Adobe Stock in June 2015, based on Fotolia's platform, with more than 40 million high-resolution images and thoroughly integrated into its Creative Cloud suite of products. And the new service isn't just a nice new addition that simplifies buying stock photos. Because Adobe estimates that 85% of creative professionals who buy stock images already use Adobe tools, it's also a great new tool for selling monthly subscriptions – and then encouraging those new users to stick around. With the current sell-off, Adobe is trading at around $75. Analysts have hung a high-water estimate of $115 on the company. That would be a gain of 53%. Not too shabby. 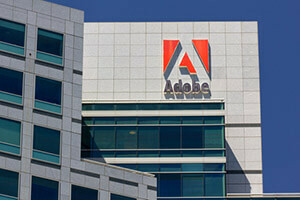 Analysts are looking to Adobe to grow earnings 33% this year. And while my research indicates higher growth, let's work with that lower figure, just to be conservative. Now we'll deploy my Doubling Calculator (what math wizards call the "Rule of 72") to estimate how long it will take Adobe's stock to double. Dividing the "safe" 33% into 72 shows us that the stock should go up 100% in just a shade over two years. I think you'll agree we're correct to call Adobe a "crown jewel" of tech.